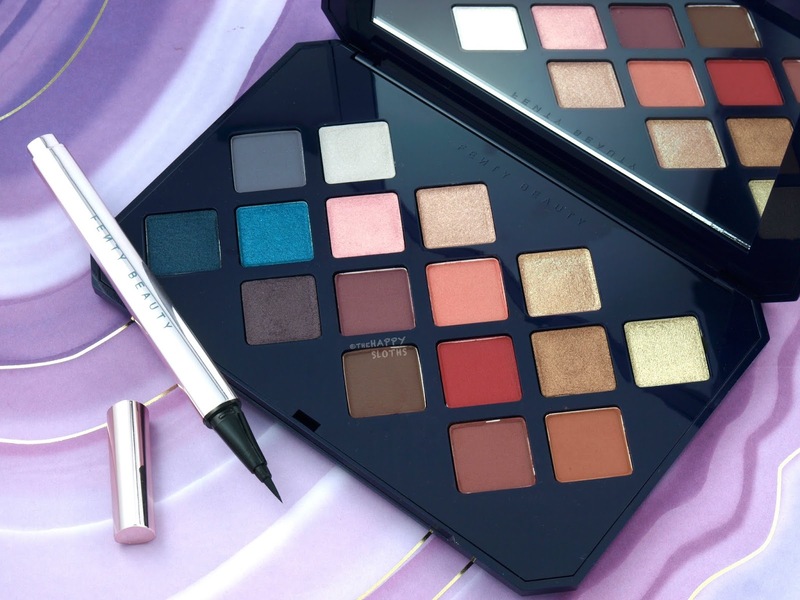 Housed in a large plastic compact adorned with a smoke plume print on the lid, this is a 16-shade eyeshadow palette featuring an array of Morocco-inspired earthy and smoky neutrals. The packaging is pretty sleek and well-made but for $69, I was expecting something a bit more luxurious and unique. Additionally, although the diagonally-placed shadow pans fit the Moroccan theme, they take up a lot more space and thus make the compact larger than it needs to be. There's a nice mix of glitters, shimmers, and mattes in the palette but the color selection is rather neutral and underwhelming. 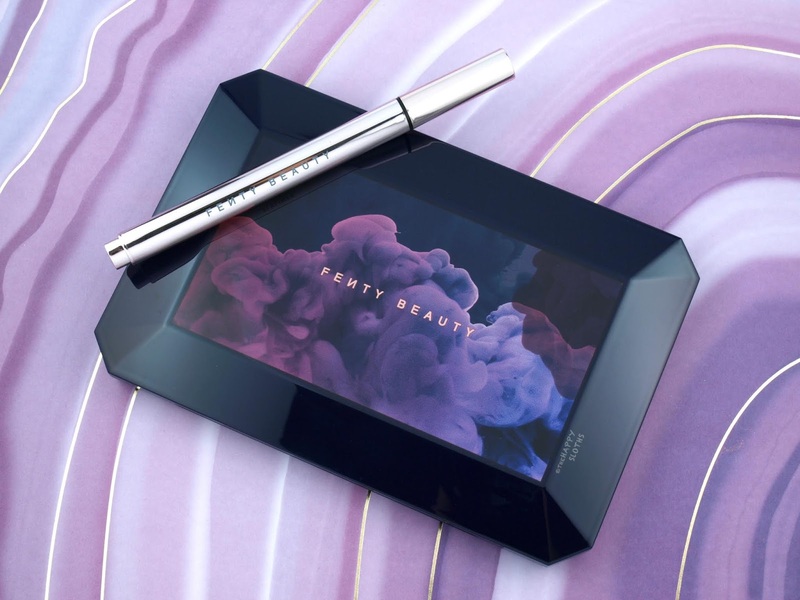 In terms of formulation, the Fenty shadows are lightweight and silky but they don't have the same kind of rich, butteriness offered by some of the other mid-range brands (ex. Urban Decay, Too Faced). 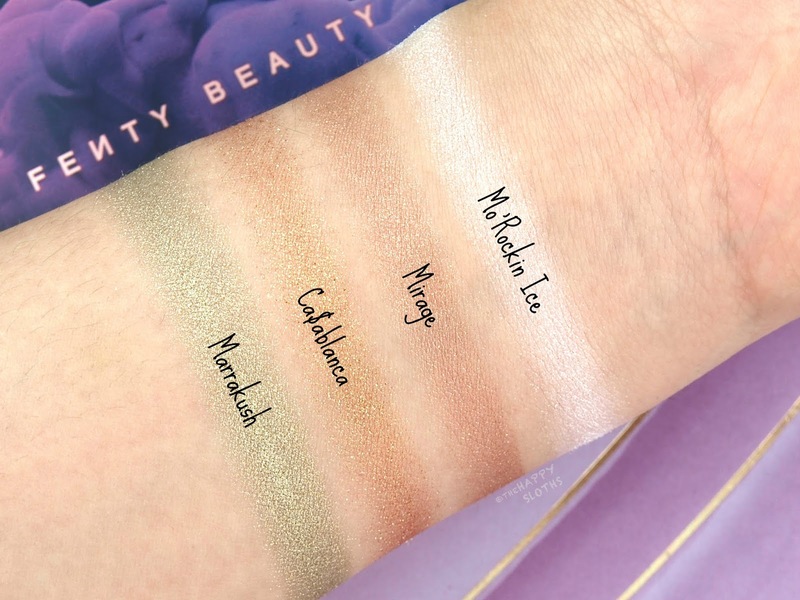 However, the pigmentation is very good and the shadows are highly blendable. A few of the mattes (ex. 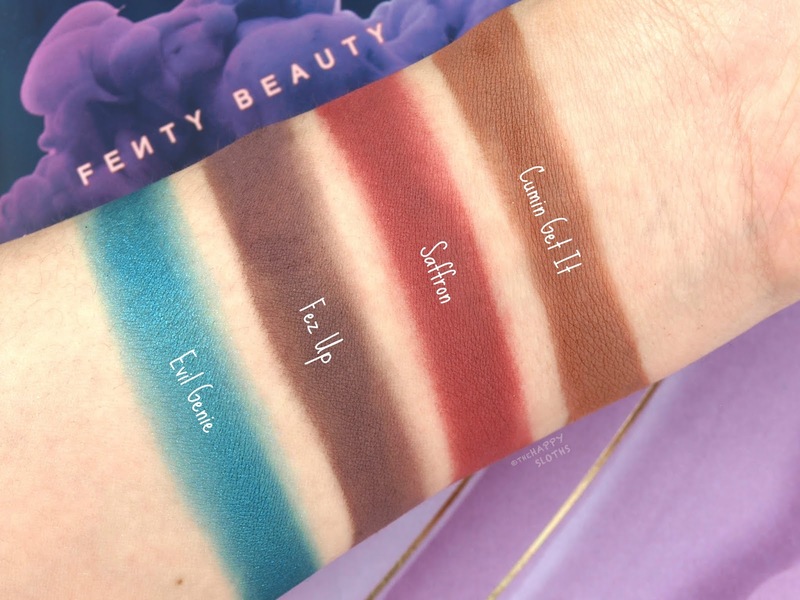 Saffron, Fez Up, Henna Sea) were quite patchy when I tried to swatch them on my arms but they applied just fine on the lids. 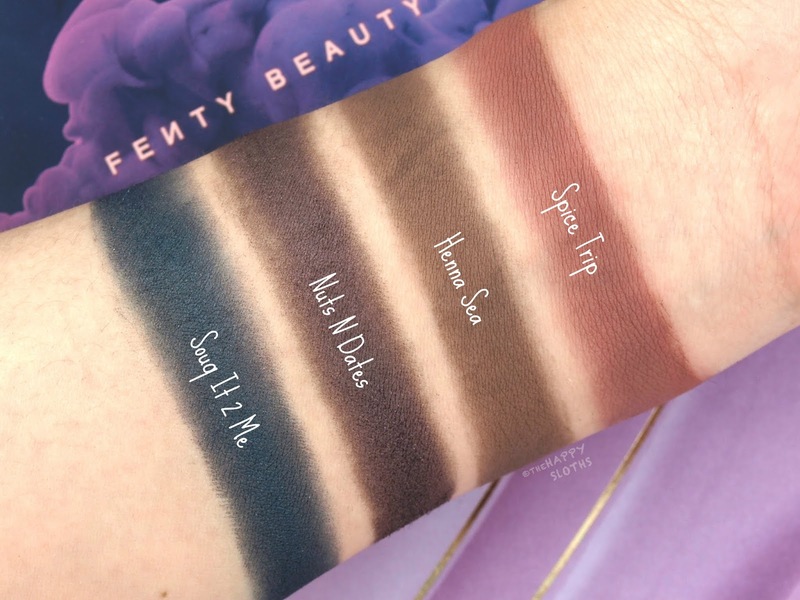 For a Moroccan-themed palette, I definitely expected a few more rich, jewel-tones but this is a great palette overall. If you are a fan of warm reds, bronze, and browns, then this is the palette for you. 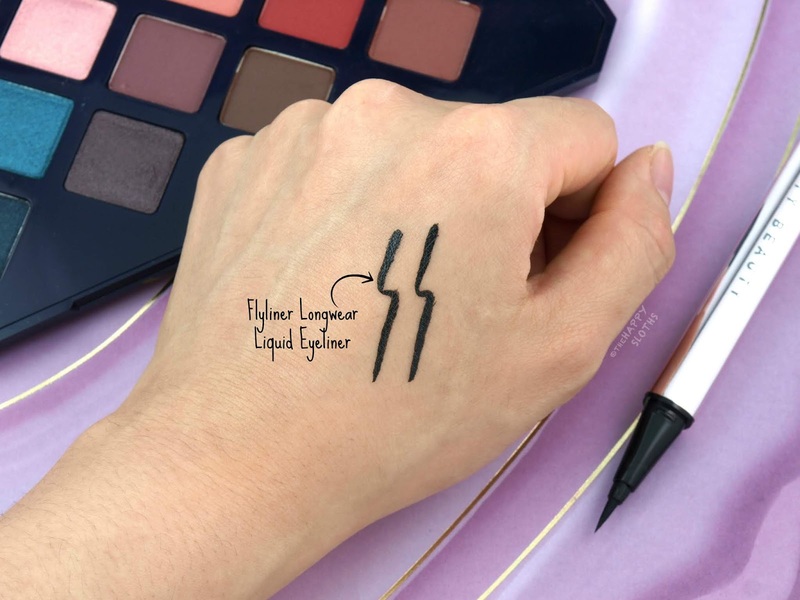 Housed in an ergonomic triangular pen, the Flyliner Longwear Liquid Eyeliner in "Cuz I'm Black" is a waterproof, smudge-proof liquid eyeliner paired with an innovative felt tip applicator. I personally prefer brush tips over felt tips but the Flyliner applicator is very impressive. It's fine and flexible but not flimsy. 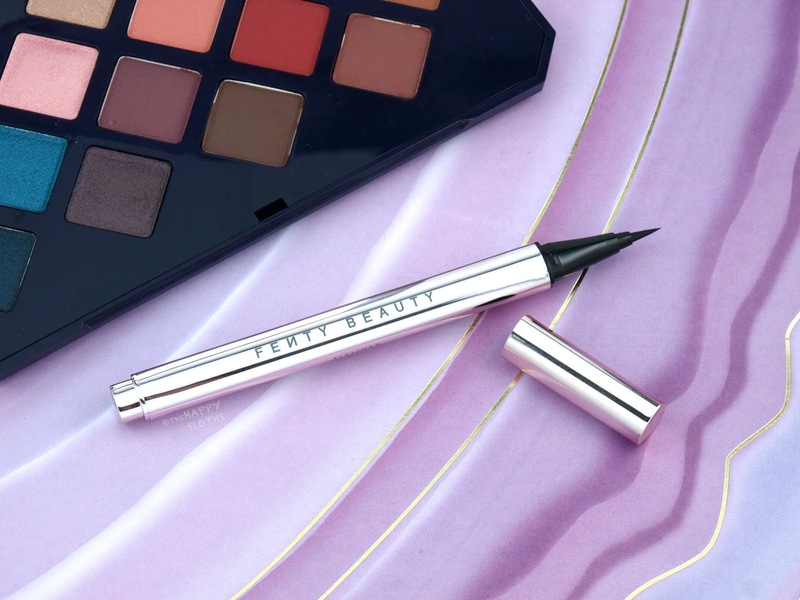 It also doesn't dry up during application, making it super easy to achieve clean, opaque lines. When I tried to swatch the liner on the back of my hand, I noticed some bleeding so I was quite worried. However, the eyeliner went on super smoothly without any creasing or running. 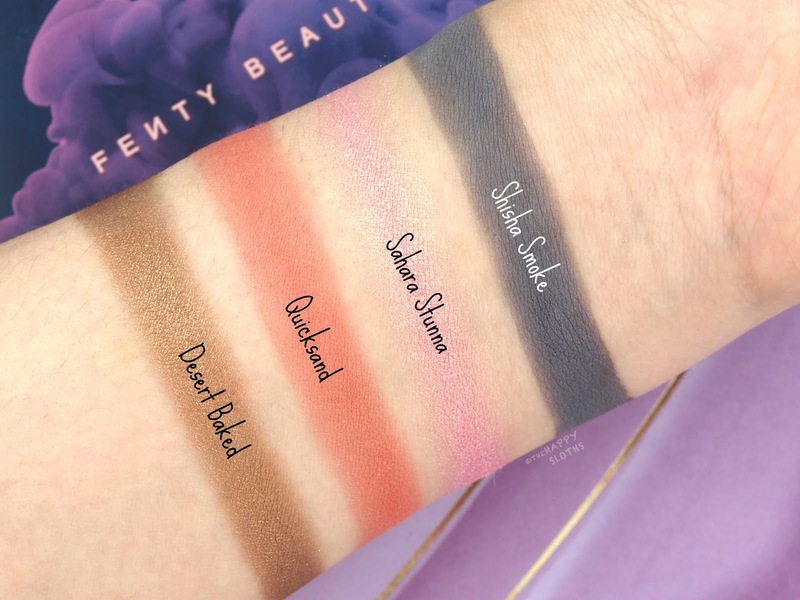 The formulation is extremely pigmented and quick-drying but it also layers well without becoming crusty and dry. The finish is midway between matte and shiny so I think it will satisfy all tastes. In terms of wear, the liner fares really well. The formulation is very waterproof and smudge-proof and even with sweat and sebum, it does not "melt" and transfer. Even with a good cleansing oil, the linear will require some effort to remove so it's pretty heavy duty! 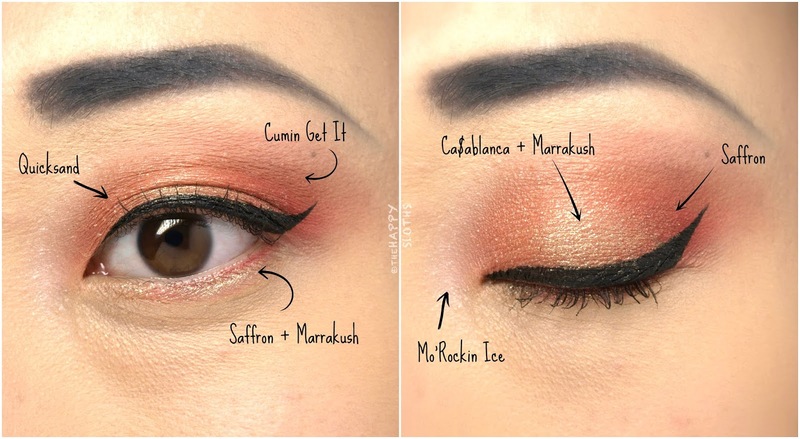 Below is a look I created using the Moroccan Spice Eyeshadow Palette and the Flyliner Longwear Liquid Eyeliner. 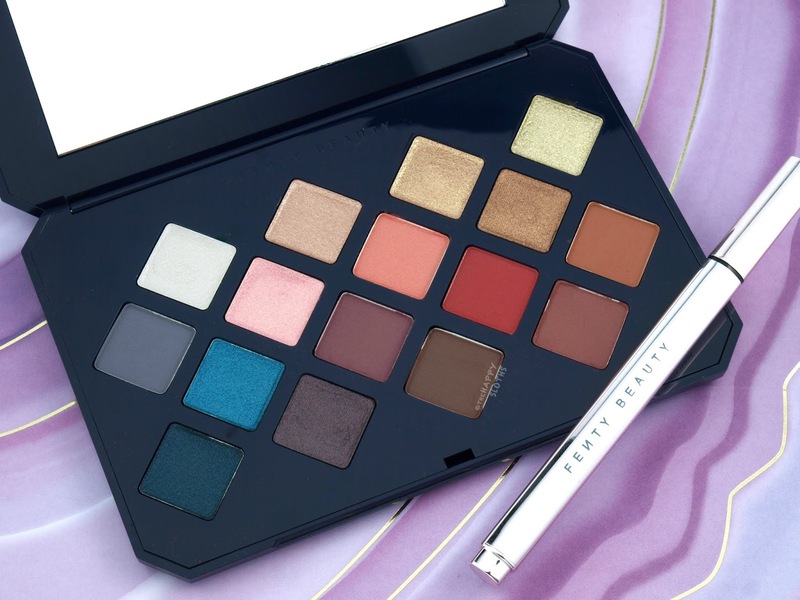 The palette is really nicely formulated and surprisingly wearable and the eyeliner is definitely a hit! Have you spotted either in stores? Will you be picking them up? Share with me in the comments below!